Pre-workout formulas are popular because they provide energy, focus, and a sense of hype for a workout that often allows us to push through self-imposed limits. You’re going to feel ready to take on challenges after a good pre-workout, which can make a big difference if you’re training early in the morning or after a long day of work/family/studies. The problem is that this is often achieved by hitting you with a huge dose of dubious chemicals, hyper-dosing stimulants, or using illicit drugs as “off-label ingredients”. The problem is that the whole supplement market is a roughly-defined mess with no real consistent regulation: companies can say whatever they want about their products. Today, we’re going to review some of the supplements that attempt to be a more natural, well-balanced approach. We’re going to take you through some of the most popular choices on the market, and what an all-natural pre-workout can, and should, offer you! What is a Natural Supplement? 3. 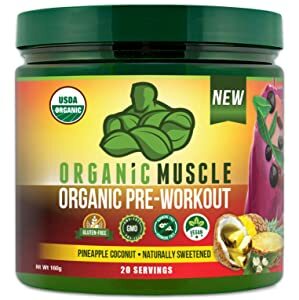 Organic Muscle – a Pre-Workout? This is the real problem that we run into when we talk about natural supplements – what is natural? Is it a good thing? Should you be too concerned with the natural tag? To start with, there are some serious limitations to discussing natural supplements and what counts. We can make a similar comparison with things like processed food – where is the line between natural, processed, synthetic and so on? There’s a vague idea in our heads about natural: whole foods are natural – fruits, veg, and animal products that come right off the animal. Unnatural tends to drag up mental images of lab coats, brightly-colored chemicals, and supplements that are made out of industrial-grade powders. The problem is that “natural” doesn’t have a definition that the FDA can agree on – and supplement companies aren’t held to any standard. While you might have an idea that you’re looking for natural, the most natural pre-workout in the world is a black coffee. Anything that’s sold as a powder or pill is heavily refined. Does that make it unnatural? We don’t think so. In this sense, we like to think of natural pre-workouts as being refined from plant sources most of the time. They’re not using synthesized chemicals, but extracts processed from natural whole foods. No. Arsenic is natural using this definition. However, we do know that cutting out a variety of unnatural, synthesized stimulants is one way to improve your diet. Cutting out the unnatural, harmful ingredients found in many supplements can benefit your health. This is also true of the heavy metals found in many supplements from protein powder to pre-workout. While there are some healthy trace metals (we call them minerals), too many in a pre-workout can really put a strain on your kidneys and liver. Natural isn’t the same as healthy, and it’s not magically healthier, but when it comes to supplementation it’s probably a good idea to keep your overall intake of synthetic chemicals and heavy metals low. This is what we’re going to use to analyze today’s ingredients! The key lesson is that ingredients are more, or less, natural. It’s not a black and white discussion where one thing is natural while others aren’t. This is a great supplement to start with when looking at natural-ness, health, and benefits. A vitamin B complex – a useful way of improving your health, wellbeing, and energy transfer. This is great because B vitamins can be hard to absorb, and they provide a foundation of long-term, sustainable energy without considering stimulants. Performance Blend – a mixture of potassium, L-Citrulline, Creatine and Beta-alanine. These are actually great ingredients – they’re not entirely natural in the sense of being refined from plant foods, but they’re effective and useful. They’re simply amino acids, essential salts, and raw materials for better performance. They work, but there’s definitely an industrial process in creating l-citrulline, creatine and beta-alanine. Fermented Amino Acid Blend – fermented foods are usually pretty good. This is mostly a collection of BCAAs, a low-quality form of L-Carnitine, and a fermented sweetener. Including leucine is key for muscle building, while Tyrosine will be responsible for mental performance/feelings of energy. Another effective complex – all good so far! “Superfood” Complex – superfood is another hazy idea. This includes green tea, beet juice, blueberry powder, spinach powder, garlic extract and piperine (the stuff that works). It also contains some mostly-useless stuff like pomegranate extract, green coffee bean, and guarana extract. Overall, this is actually a very effective supplement and it has a mostly-natural status. There’s no way to separate out things like Creatine, Beta-Alanine or other amino acids without industrial refining processes. Does that make it a worse supplement? No, but it’s important to point out that natural-ness is a scale and this supplement does a great job at controlling the ingredients. We’re a big fan of Nature’s Pump. To start with, this is an interesting product because it claims to be keto, but is 20% sugar. That’s not how keto works, but we’re not focusing on that today. Extended Endurance – Taurine, Citrulline, Arginine, and Beet juice. These all push towards the same general idea of balancing nitrogen in the muscle. Nothing special, but moderately effective – we’d like to see beta-alanine in here but no complaints so far! Hydration and Recovery – Coconut powder is in this pre-workout, as well as more beet juice and pomegranate. This isn’t a big deal, but it is beneficial for water-loading. Small, positive benefits from extra water is always a bonus. Natural Performance Blend – a blend of poorly-researched, mostly-ineffective herbal supplements. We’re really not impressed by this. Natural Energy – natural caffeine from coffee beans is a good start. Caffeine is key for an effective pre-workout supplement. Theanine and tea extracts are useful for health and wakefulness, so it looks like this is where all the benefits come from in terms of power and performance. This supplement also contains piperine for absorption, which is useful for making sure that these ingredients do their job effectively. 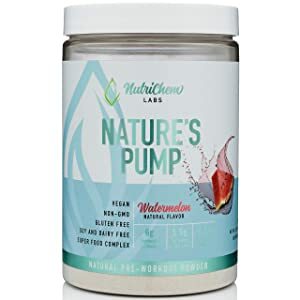 Overall, there’s not much to differentiate this from the Nature’s Pump product: it has a lot of showy ingredients that aren’t likely to have much benefit. It’s a matter of vitamins, minerals, an average endurance complex, and the natural energy complex. It’s good, but we see it falling behind already. This is an interesting supplement because it really pushes the envelope on natural, organic ingredients. The interesting result is that we’re not sure it’s a pre-workout supplement at all. The ingredients are more akin to a superfood smoothie recipe: a variety of “USDA certified organic” root and fruit powders. While many other supplements use caffeine from a coffee bean source for their natural status, Organic Muscle’s powder is a mixture of non-caffeinated ingredients and matcha tea powder. Matcha tea is a powdered leaf, not a brewing leaf. This sounds trivial, but it’s a big deal: tea has a higher caffeine content than coffee by weight but the actual caffeine isn’t transferred well during brewing. The powder, however, provides this supplement with 125mg of caffeine per serving. If we look at the caffeine content, it’s clear that this is a pre-workout supplement. However, the way that matcha and its caffeine, GABA and other compounds interact make it a very different sense of energy. Rather than being the spike of power and focus seen with coffee, matcha and other tea-based caffeine effects are described as calm and “flat”. This can actually be a really good experience for work and other times when consistent benefits over a number of hours is necessary. However, it might not be as appropriate for boosting energy instantaneously: you won’t feel awake from this type of matcha powder in the same way that a coffee perks you up. Our advice is to use this pre-workout supplement longer before your workout than you’d use a conventional unnatural or coffee-based supplement. Take one scoop 2 hours out and another scoop one hour before your workout (if possible). This should ensure that you’re getting the cumulative effect and experiencing the “calm high” of matcha. Other than this ingredient, most of the stuff in this supplement is just powdered fruit. Great for health, but there’s nothing else in here that is likely to improve performance in a notable way – at least compared to creatine and beta-alanine found in Nature’s Pump. 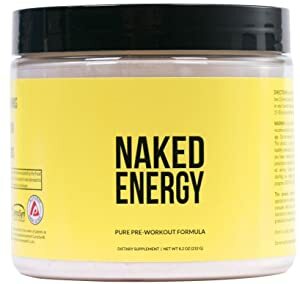 We really like the way that naked approaches the supplement market. Their whole brand is a no-nonsense approach to the pre-workout supplement. There’s nothing extraneous here – it does exactly what you’re going to want from a pre-workout supplement: it improves your workout energy, focus, endurance and strength. A blend of vitamins and minerals – including vitamin B and calcium. Great for health and wellbeing. Creatine – great for strength-endurance. Arguably the most important performance supplement on the market. 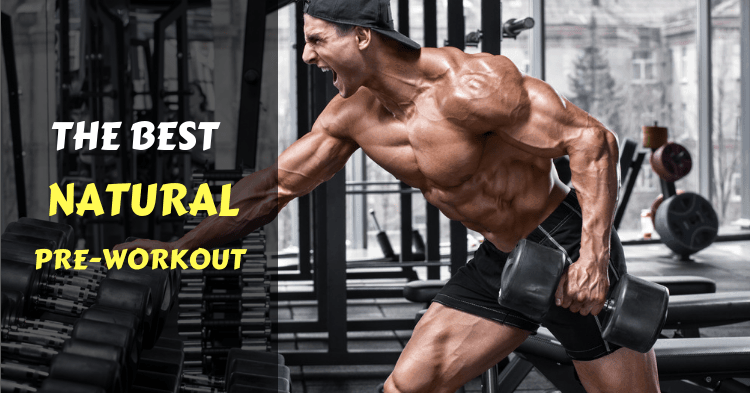 Beta-Alanine – the #1 endurance supplement on the market. It provides a boost to endurance and a variety of other performance markers and has a huge amount of scientific support. Caffeine – natural, from roasted coffee beans. Easy enough, does exactly what you’d expect without any fancy claims. Comparable to other market choices. Arginine – a moderately useful pump-compound. Less effective than Citrulline, but still likely to improve nitrogen balance slightly. The only area for real improvement. The general impression we get from this supplement is very positive. There are no hidden or unnecessary ingredients, nor any ‘fillers’ like we’ve seen with others on this list. It’s an all-natural supplement, but it doesn’t try to be a super food or anything else. It’s a very simple, cost-effective choice. 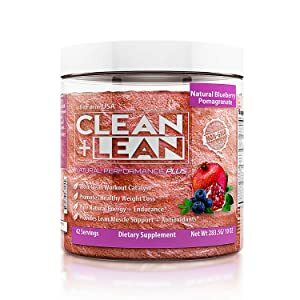 This product doesn’t seem to be settled on a single purpose – the ingredients are combined with benefits from weight loss to focus on antioxidant benefits. These are all good ideas by themselves, but the use of a pre-workout as a weight-loss supplement isn’t quite the goal for many individuals who are more concerned with performance or even weight gain. This isn’t a huge concern, but it does strike us that this either a PWO supplement that doesn’t know what it wants to be or is specifically targeted at weight-loss. If the latter is the case, this might simply not be for you if you’re here for sports performance and muscle-gain. On the positives, this product works to be FDA regulated and accredited for good manufacturing practices, be free-from all major concerns (gluten, dairy, etc. ), and organic according to the USDA. This is a benefit because it means you’re getting exactly what the box says – no surprises. But what about the effectiveness? What do the ingredients say about the benefits you can expect from this product? Natural Performance Blend – another common complex. This includes citrulline, arginine, and Beta-Alanine. This is a great start for endurance, and points us to the fact that this might be a weight-loss PWO supplement. Amino Acid/Lean Muscle Blend – Glutamine, leucine, isoleucine and valine. It’s not a lean muscle blend, it’s just BCAAs (which aren’t a big deal). Leucine is important, but the rest are irrelevant. 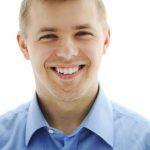 We’d like to see leucine instead of the others – the dose is way too low. Healthy Weight Loss Blend – Tyrosine isn’t related to weight loss, but it’s great for energy. Caffeine is a staple here and the green tea extract and coffee bean extracts are useful for that purpose and a mild boost of fat-burning EGCG. Maca root is a general health boost. Overall, this is a decent complex but it’s starting to look like Clean + Lean is more about weight loss than performance per se. Powerful Antioxidant Blend – as with most of the others on this list, it contains a variety of powdered plant foods. Overall, this is good for your health but it isn’t exceptional for this list, and it’s not going to benefit your workout performance in a significant, noticeable way. Overall, this is clearly a pre-workout that is designed to aid the average gym-goer with losing weight and boosting endurance. These are good benefits to have, but they’re limiting: it’s only going to be an effective supplement for this narrow group of people. When we look at other natural pre-workouts on this list, it’s clear that this is not the best choice for muscle-building and strength. This is fine, but if your goal is strength or muscle then Naked Energy or Nature’s Pump are likely to be a better use of your money. When we look at these natural pre-workouts, there’s a clear trend of including a variety of organic, GMO, plant-based ingredients that sound good but simply don’t have any proven benefits. This is something that we see with the organic muscle powder. This doesn’t make it a bad supplement, but it doesn’t make it good either. This aspect of the “natural” revolution in food and supplements is notoriously difficult to define (as we mentioned at the start of this article) and throwing more plant powders into a pre-workout doesn’t make it good. Natural isn’t the only criteria for healthy, effective supplements. Whether it’s natural or synthetic, the baseline of whether or not you should buy a supplement is its effectiveness. If it doesn’t do what it’s made for (in this case, improving exercise performance), it doesn’t matter if its natural. This is a simple matter of priorities: synthetic chemicals aren’t bad, and an effective synthetic product is always better than a natural but useless one! The best supplements combine the two, but even the idea of what is natural is a complicated one. The real point is to figure out why you want an all-natural supplement and chase that down. Trying to improve health? Focus on what positive, healthy compounds it has, rather than where they come from. This is only one example, but your reasons for choosing an all-natural supplement are your own. Let that principle guide your choices – we can’t make the decision for you, we can only explain why some of the most popular examples do, or do not, work. That’s been the focus of this review! From the reviews above, our favorites are Nature’s Pump and Naked Energy. 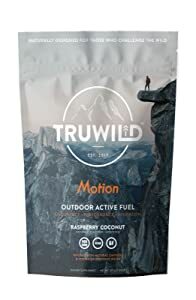 These Pre-Workouts live up to the all-natural label well (for what that’s worth) and they provide a good balance of effective ingredients with a good brand identity, effective concern for your actual results, and the best balance of health with performance. What we’ve really seen in this review is that the whole purpose of these supplements varies widely. There are powders that focus on including a wide variety of antioxidant powders, and others that are all about performance and results. This seems to reflect the variety of goals that we have in the all-natural market: health, wellbeing, sustainability, and a sense of “naturalness”. These offer a great option for whatever your values are. We weigh these up differently, and you need to understand what natural means to you and why you want it. Ultimately, that’s going to guide your choices – but these two supplements are our choices in terms of performance.